*BLING BLING. Just a little. 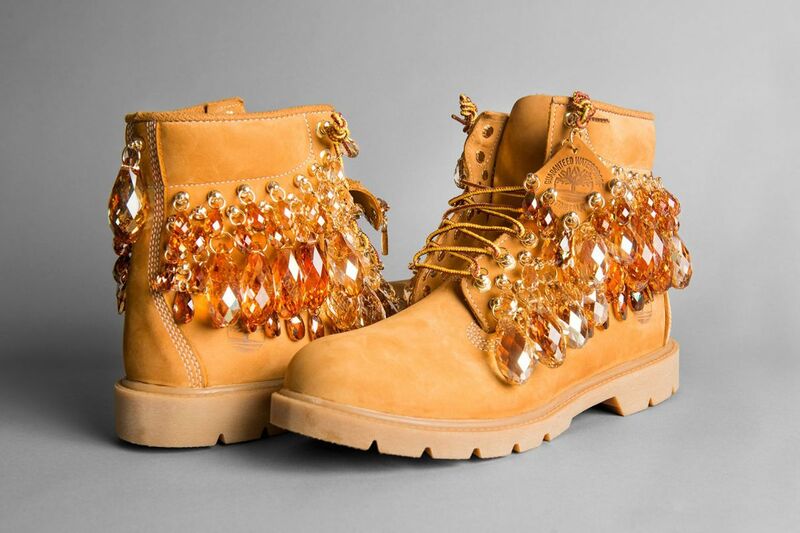 Stumpled upon these A-MA-ZING crystallized Timberlands by Hood by Air. I know how sturdy and resistant these boots are since I myself feel like nothing could harm me (by means of rain, pieces of broken glass, dirt and all the rest of the other filthy things lying around street). But if I would own a pair of These I would treat them like my little baby panda.